Malaysians are busy people. Morning morning we need to go buy nasi lemak before going to work. After 9 hours spent with colleagues and bosses, we have to go ‘yumcha’ with friends until late late. There really isn’t much time for us to get updated with many things, especially the programmes on TV. You couldn’t answer. Well the solution is here. 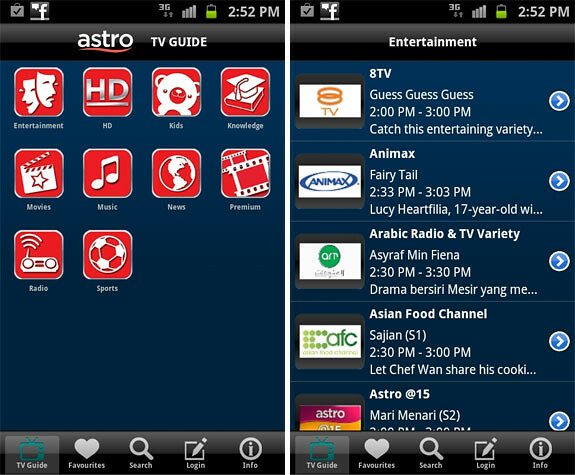 The Astro B.yond TV Guide is now available for Android in the Marketplace. The listing of tv schedules are categorised according to the genre of the TV channels. 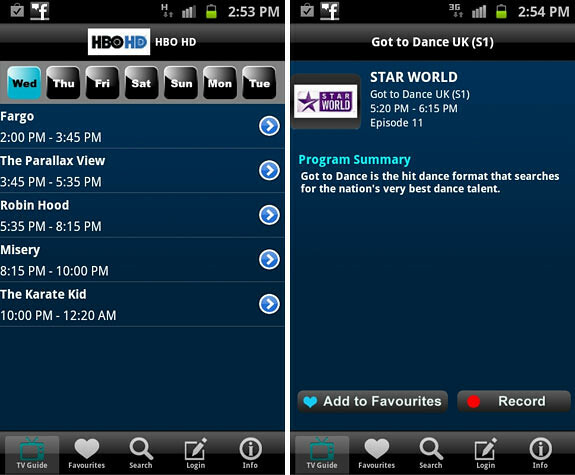 Tapping on ‘entertainment’ for example, will bring you to the list of all TV channels under that category. All the currently showing programmes are listed beside the TV channel logo. If you want to check out other timings for a particular channel, just tap on it and the app will display it. Individual tv channel pages are sectioned according to the days of the week. Tapping on a show will bring out the detailed view with record & add to favorite buttons at the bottom. 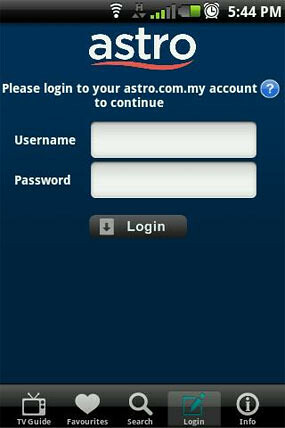 If you have the Astro B.yond PVR at home, you can sign up for an Astro account which will allow you to select which shows to record on your PVR straight from your Android phone. Check out the app now if watching tv is your hobby. One Response to "Check Latest TV Schedules With Astro B.yond TV Guide For Android"